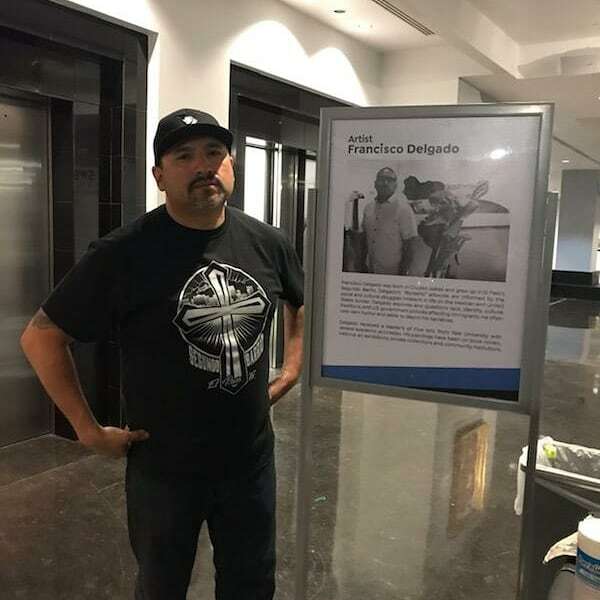 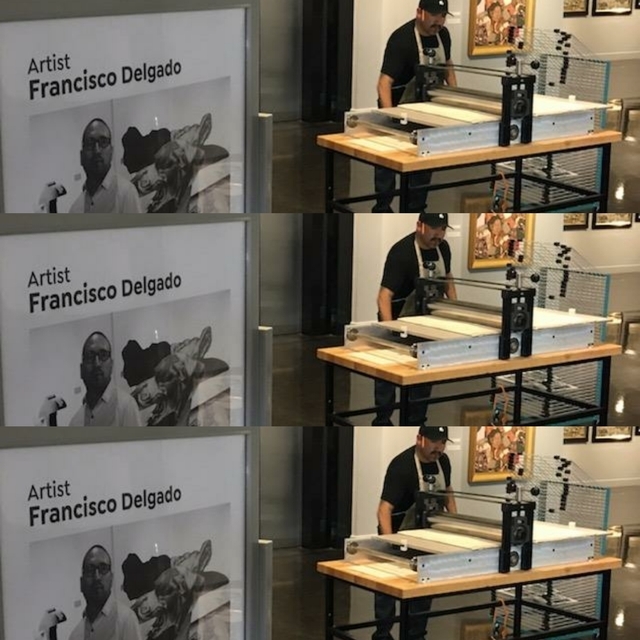 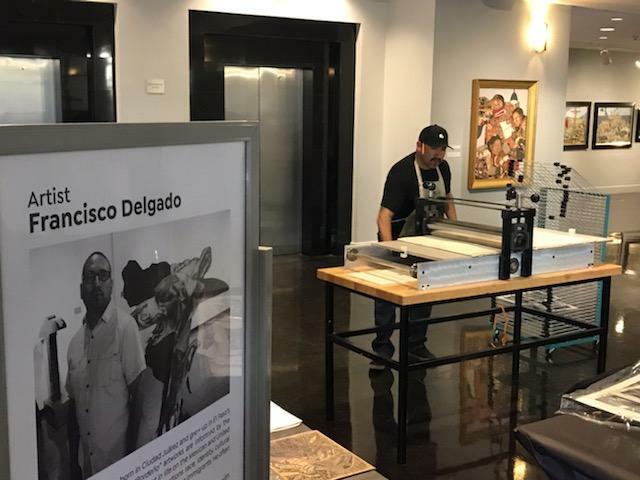 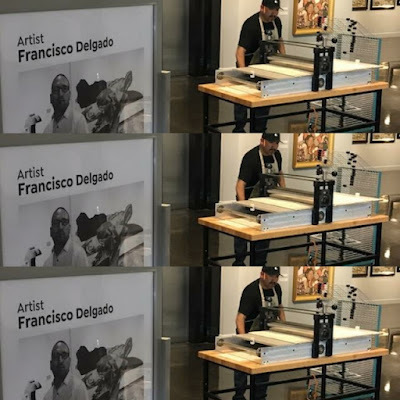 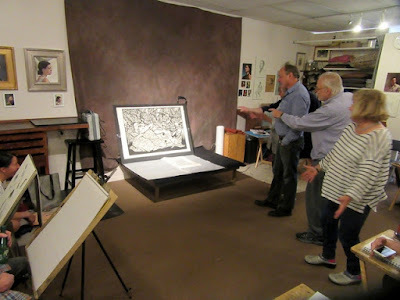 Francisco Delgado gave a print demo for a select audience at the El Paso Museum of Art on Wednesday, April 3rd, 2019. 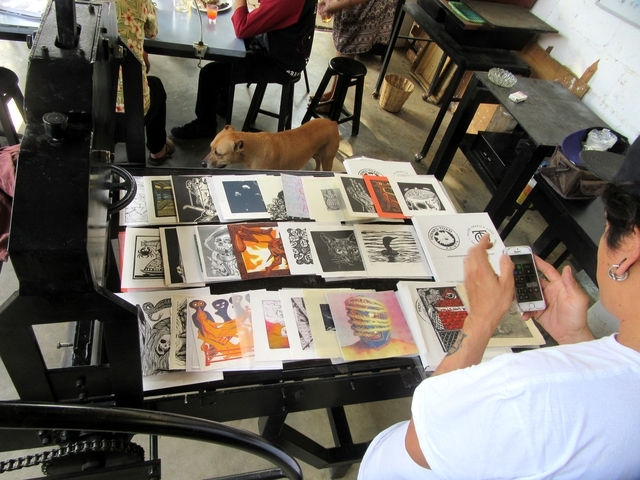 Ambos Lados printmakers are getting out there! 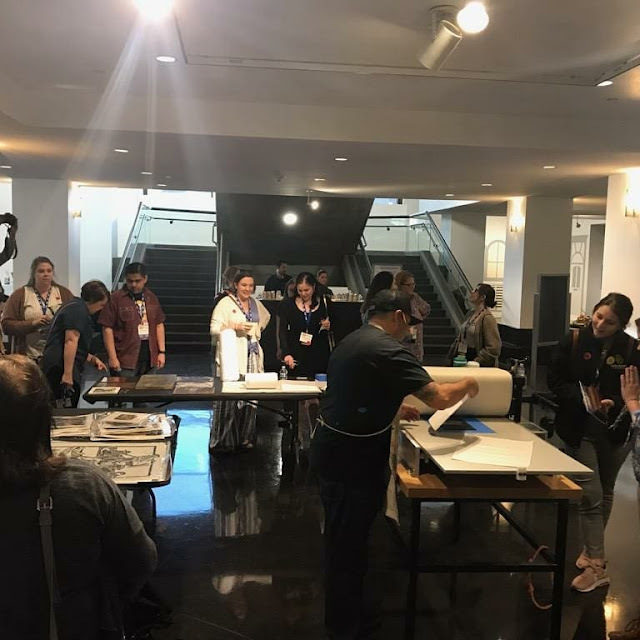 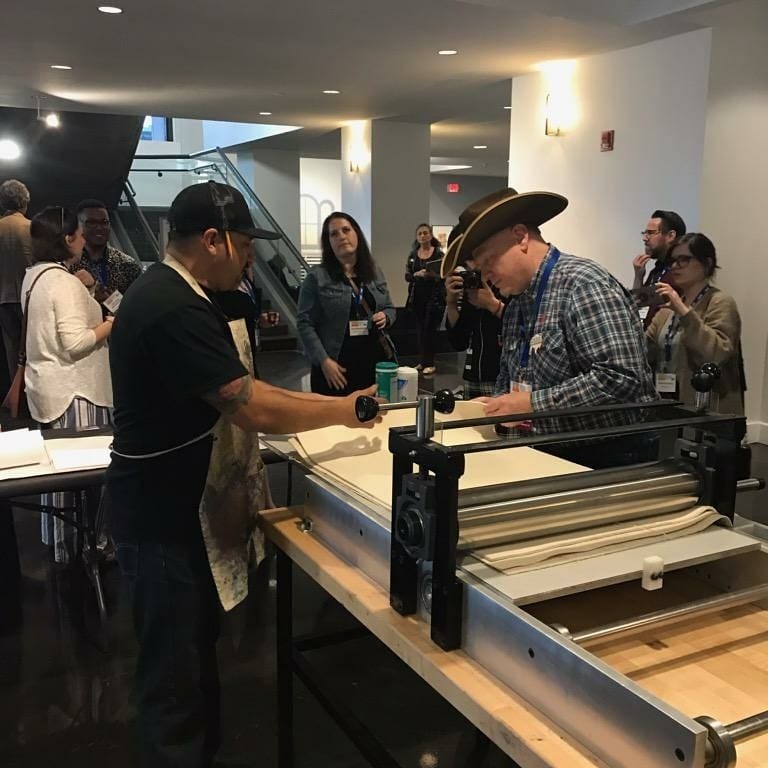 "Last night, I had the opportunity do a print demo and meet some great curators and museum professionals from through out Texas, other US states and Canada at the El Paso Museum of Art. 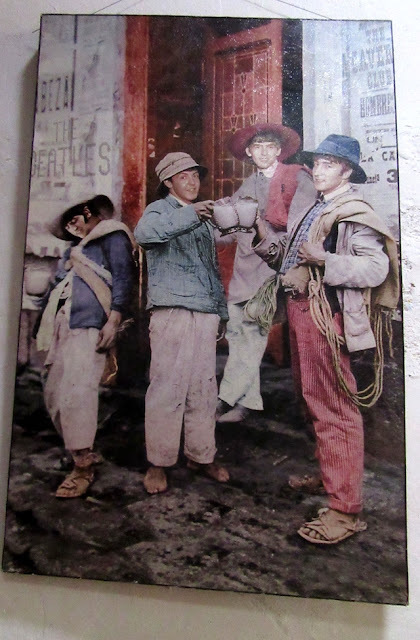 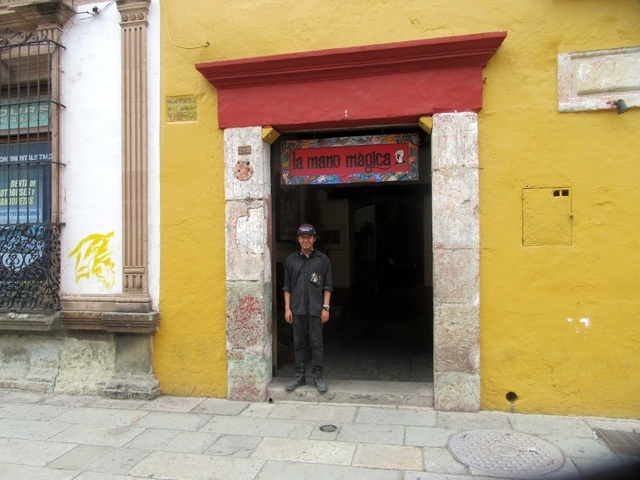 Big thanks, photo credits and sales go to my wife..."
There were many pleasant distractions in Oaxaca, as it is a city rich in art and color. 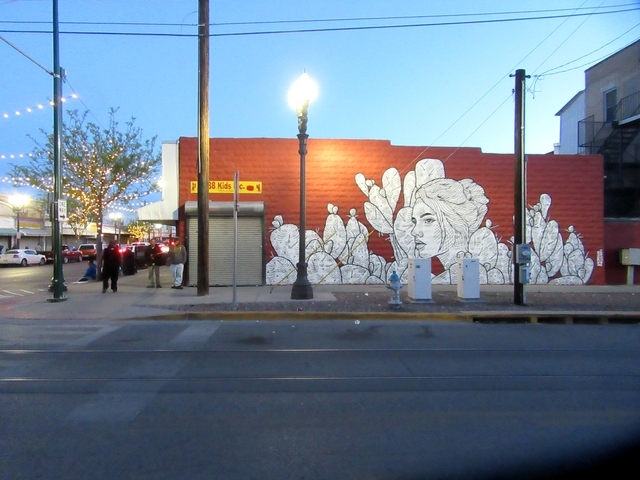 Below are some diversions outside of delivering prints for the Ambos Lados project. 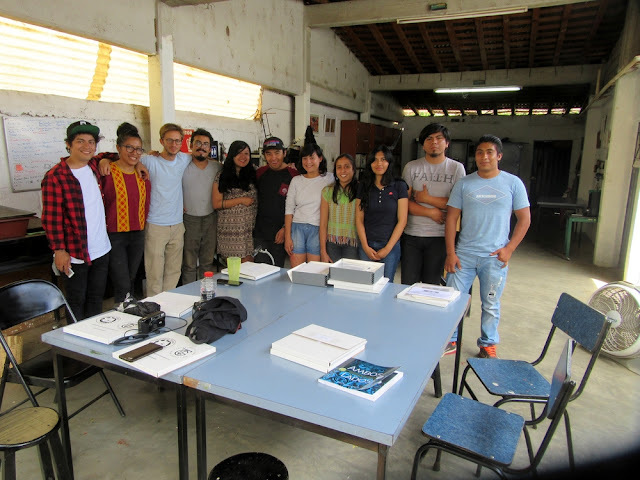 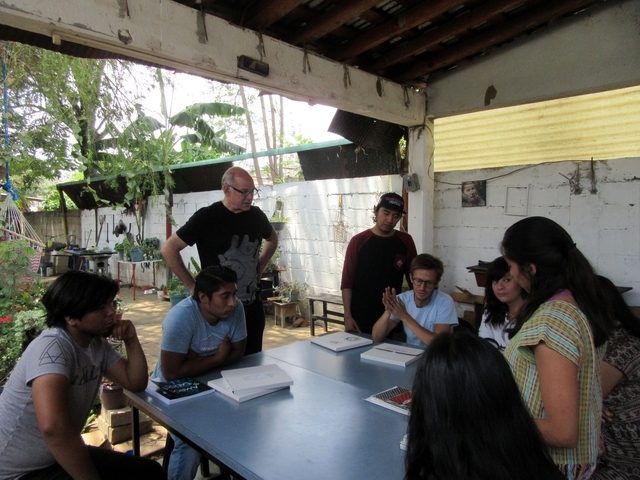 Julianna Kirwin took a workshop from Federico Valdez earlier this year. 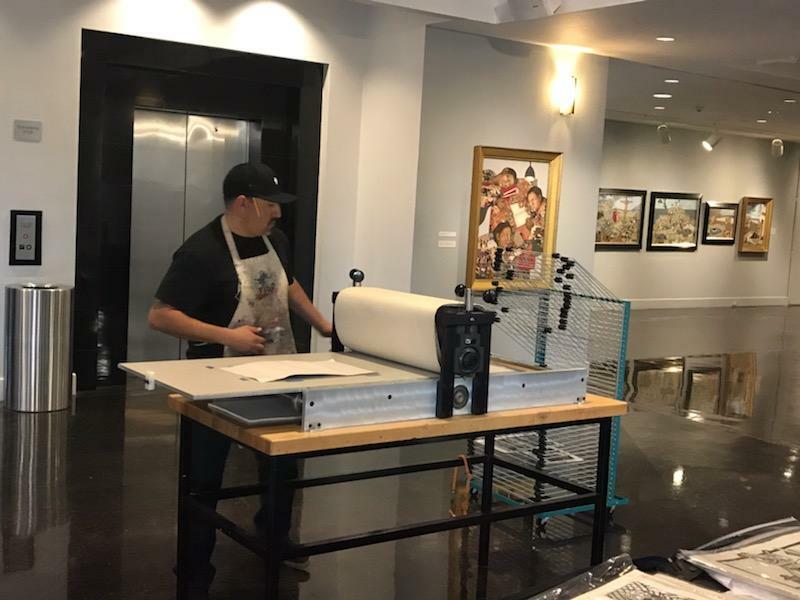 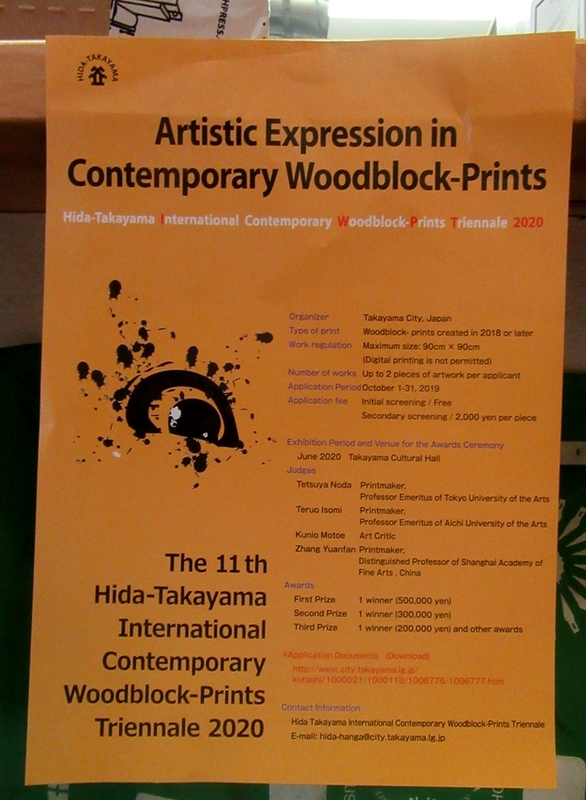 making my print on their big press. 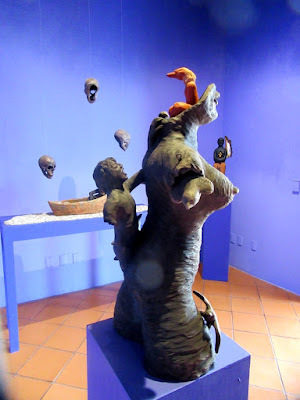 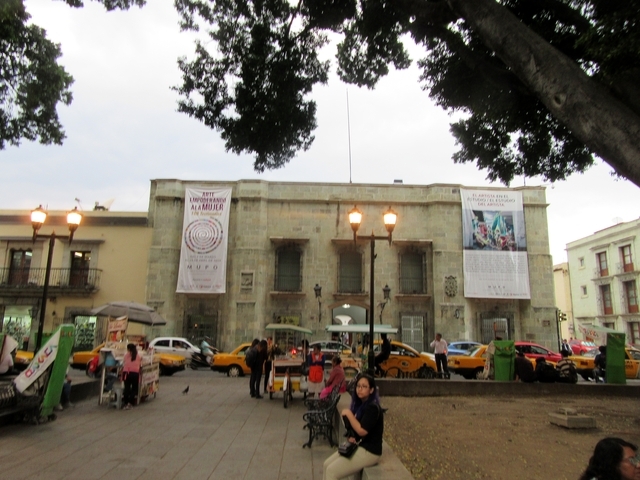 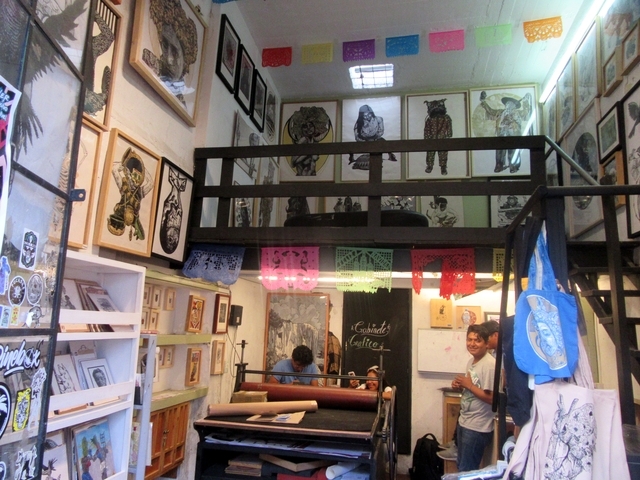 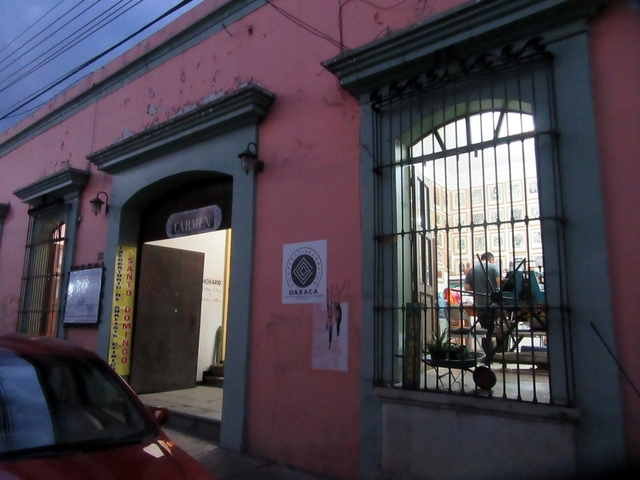 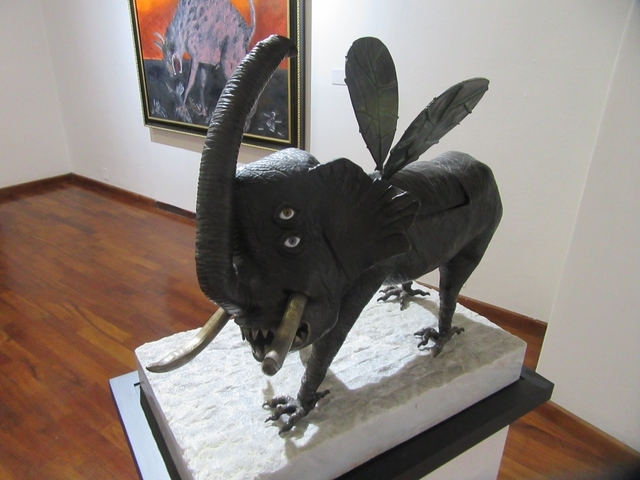 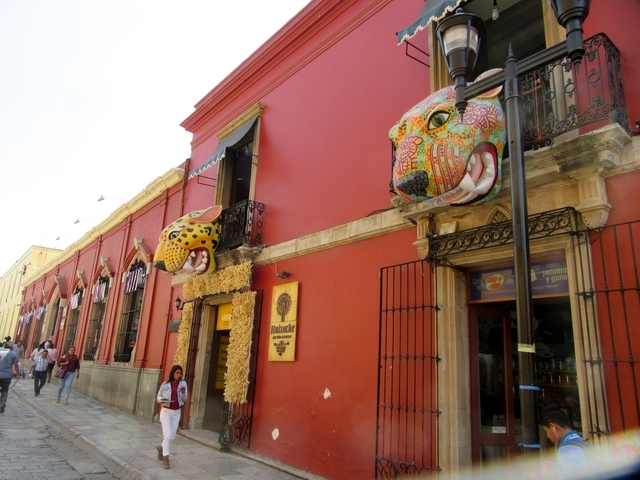 MACO is the Museo de Arte Contemporaneo de Oaxaca. 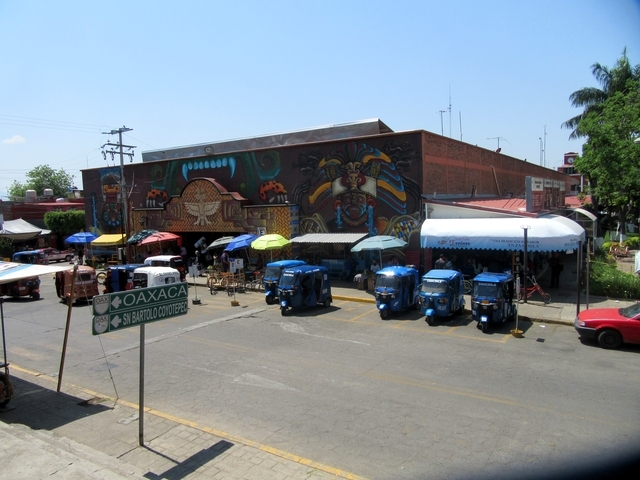 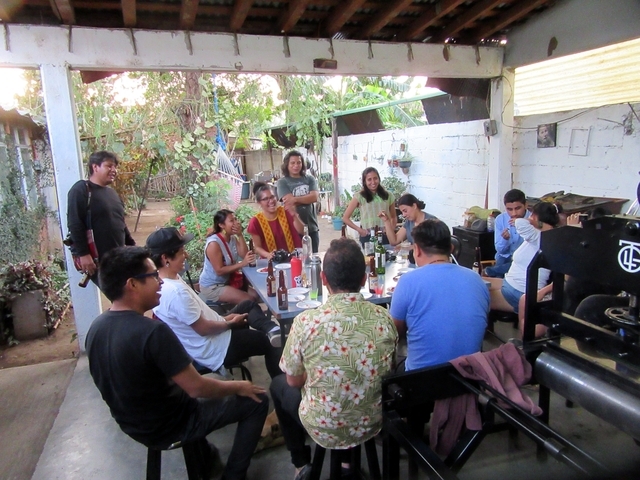 Upstairs was an exhibit curated by Marietta Bernstorff -- Under the Cobalt Blue Sky -- where 13 American artists collaborated with 13 Oaxacan craftsmen. 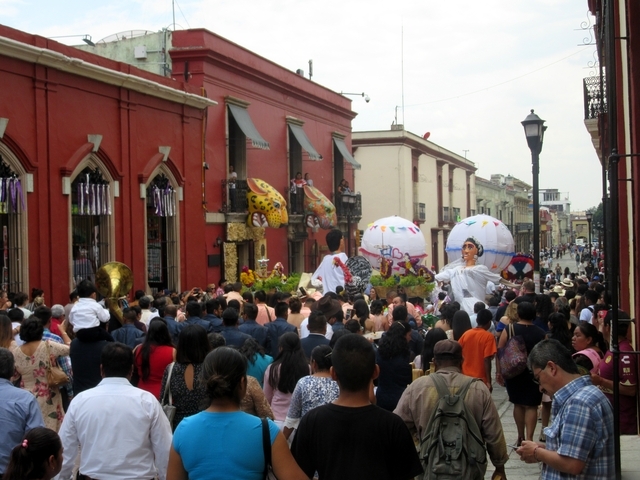 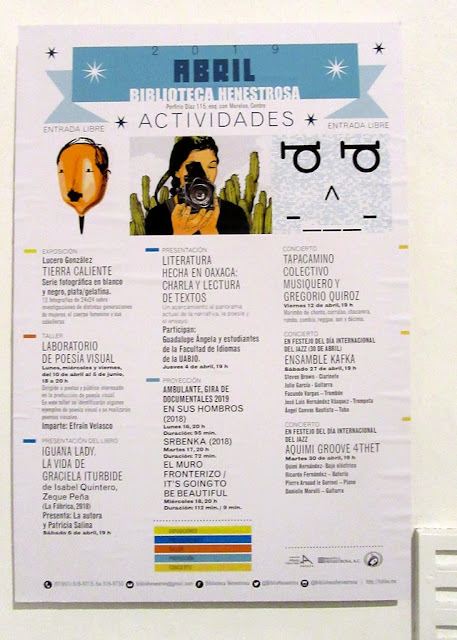 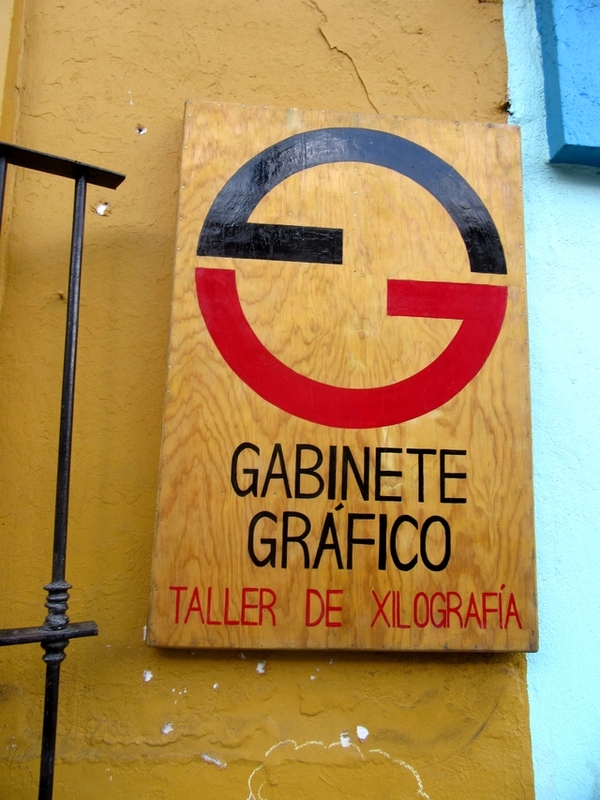 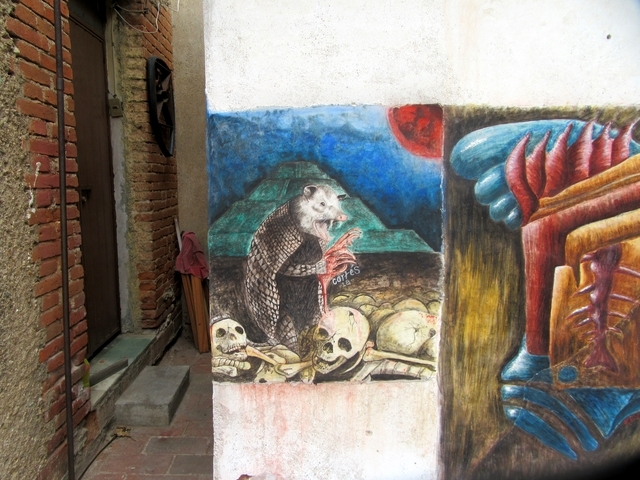 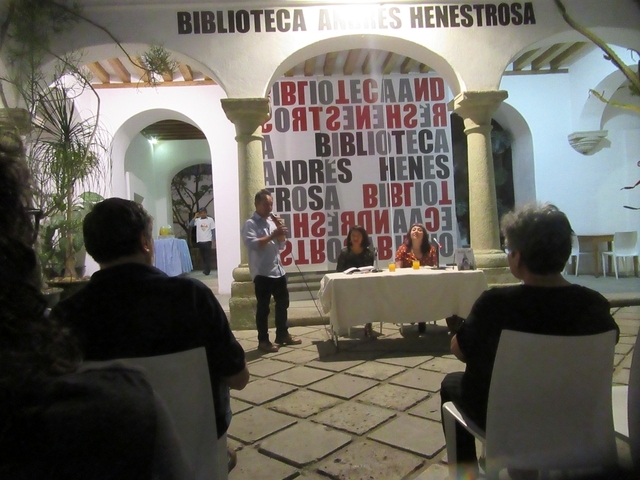 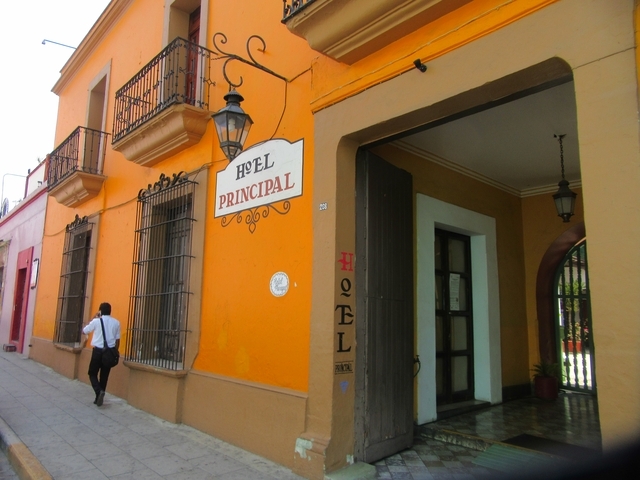 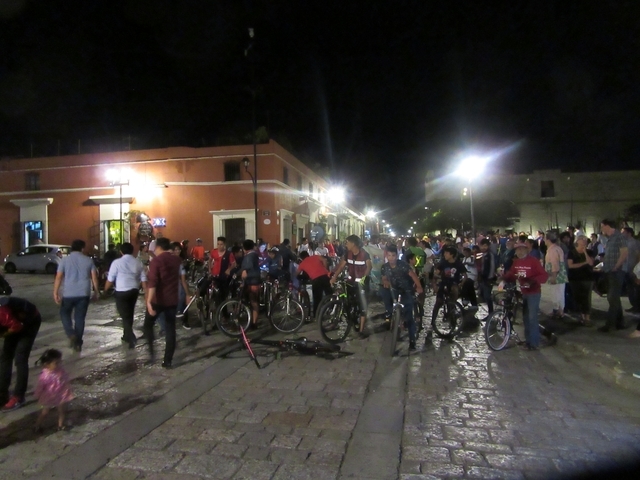 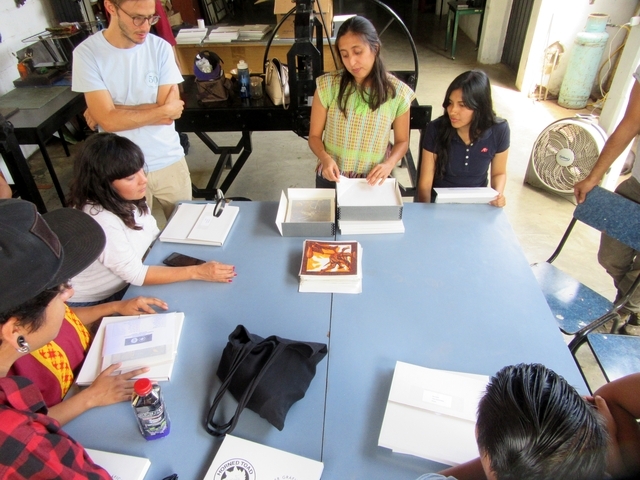 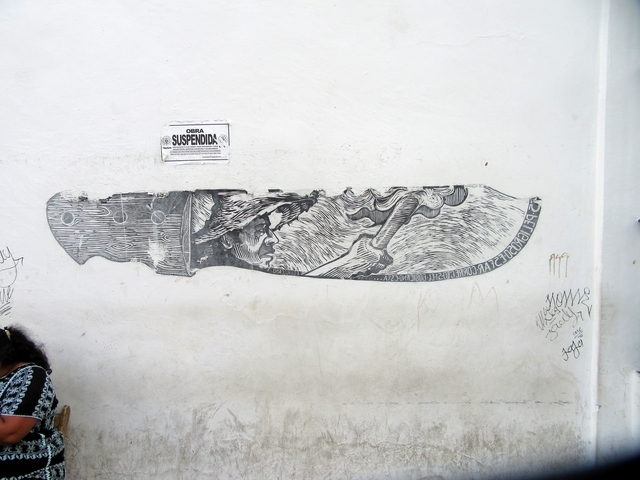 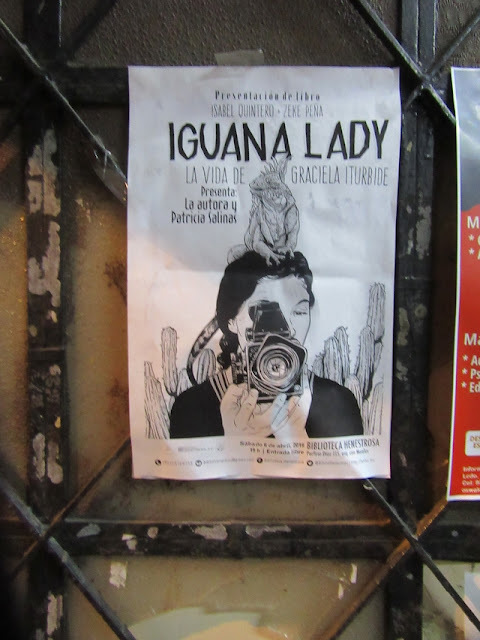 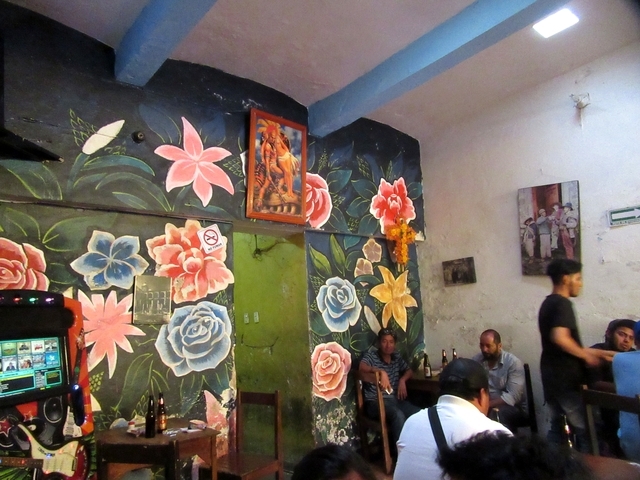 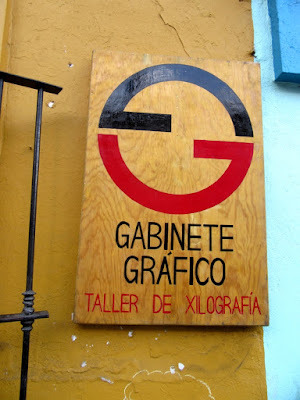 "LA VIDA DE GRACIELA ITURBIDE"
The artwork of Zeke Peña was plastered all over Oaxaca, promoting the presentation of the book he illustrated, and Isabel Quintero wrote, about the life of Graciela Iturbide. 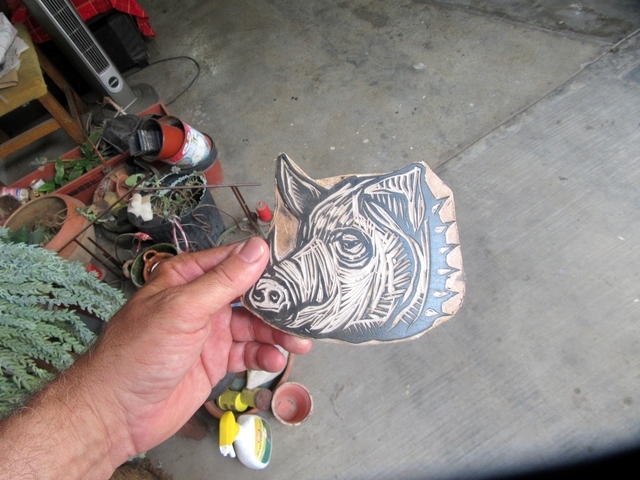 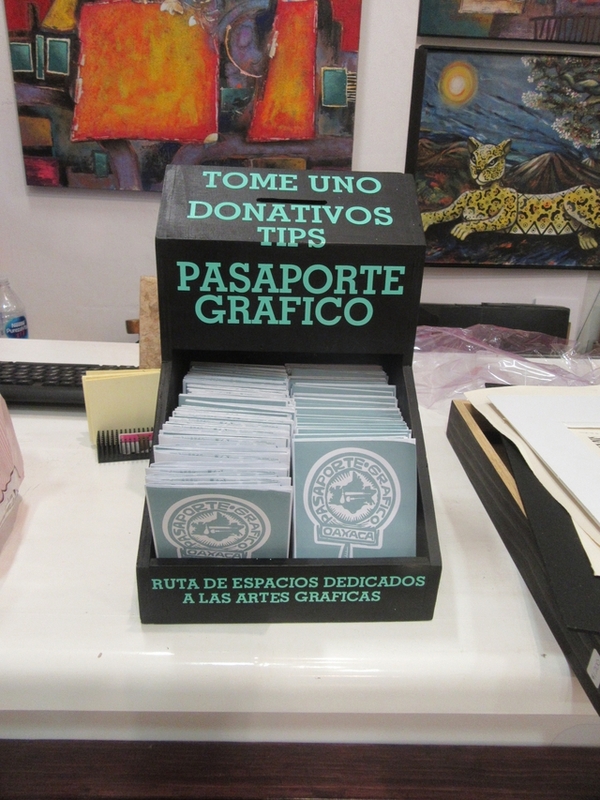 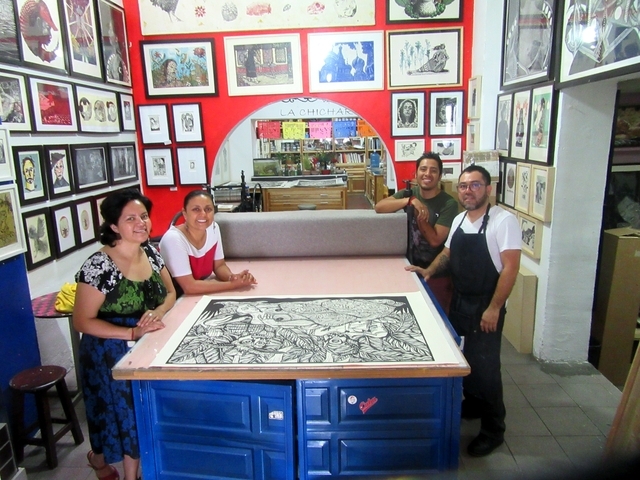 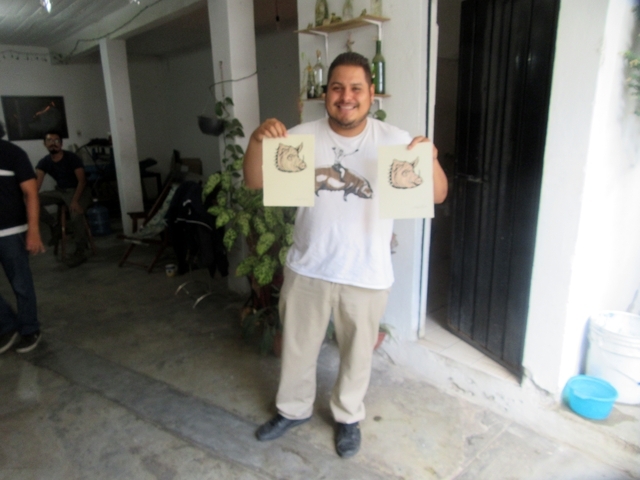 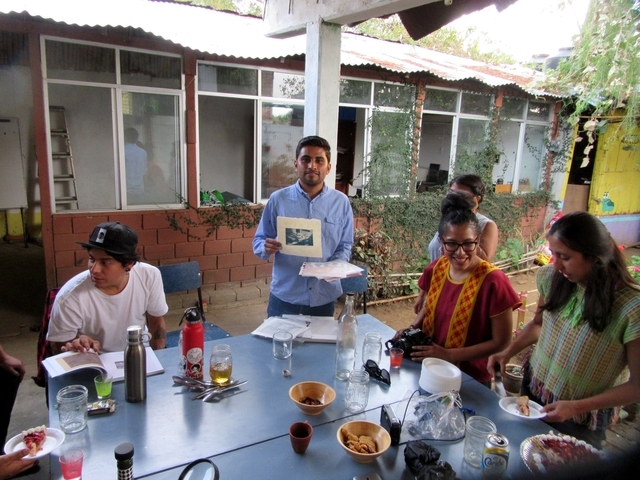 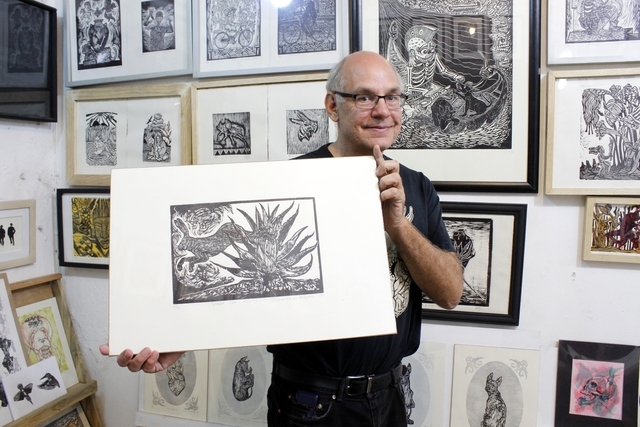 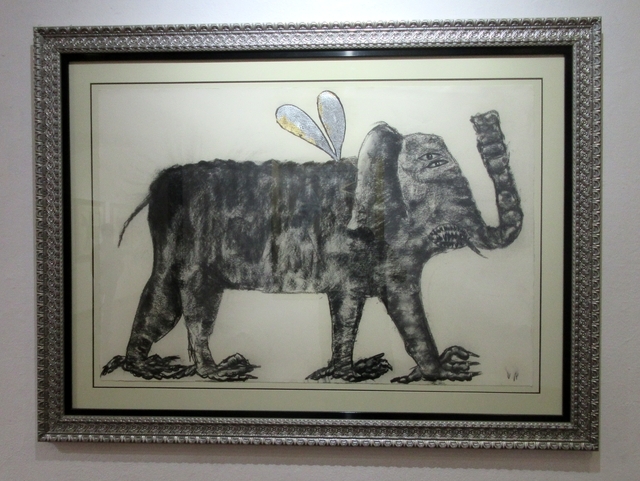 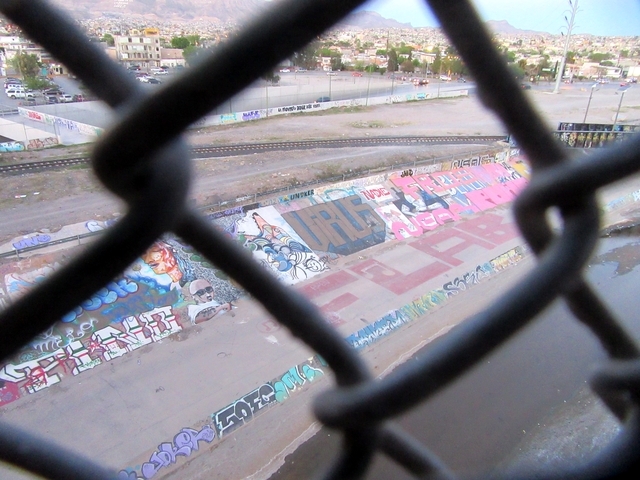 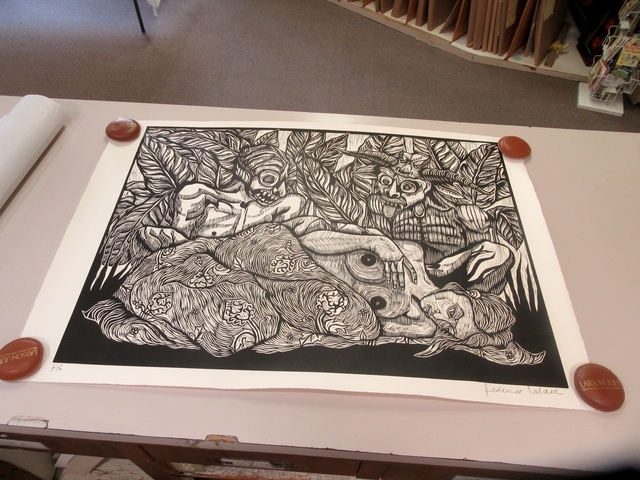 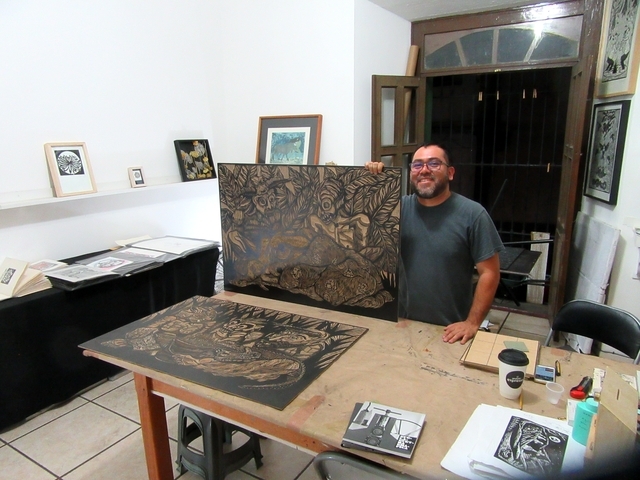 Zeke Peña of El Paso, participated in the YayBig Print Exchange, and the Desert Triangle Print Carpeta. 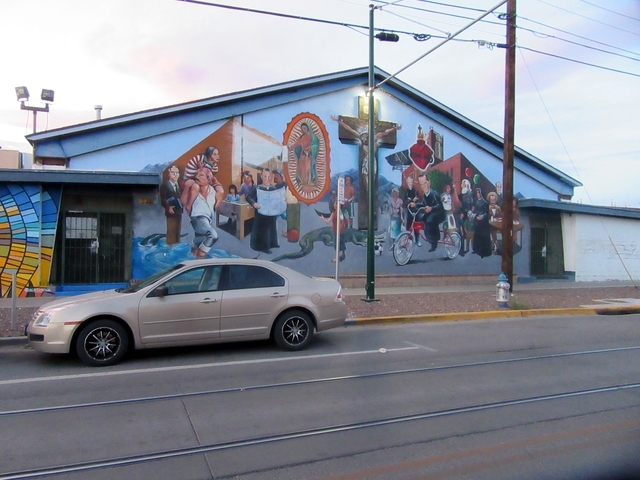 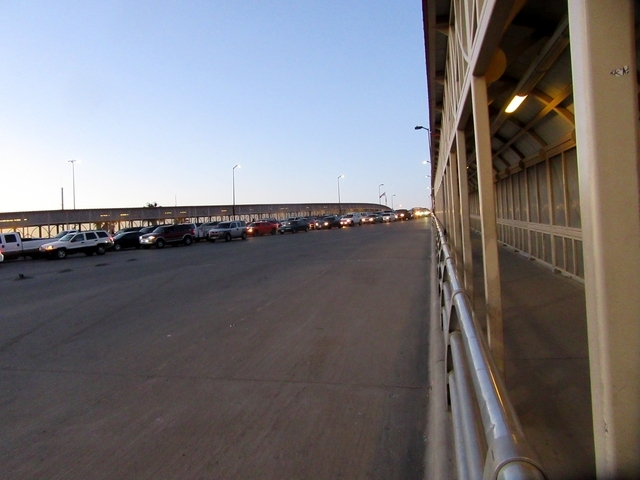 Both Zeke and Isabel gave many book presentations in the United States, including in El Paso. 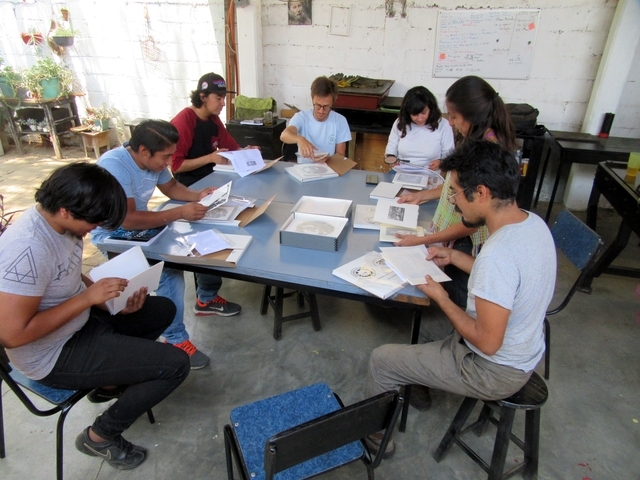 Esta convocatoria podrá recibir trabajos elaborados bajo cualquier técnica y cualquier temática del arte contemporáneo, únicamente en tamaño A3. 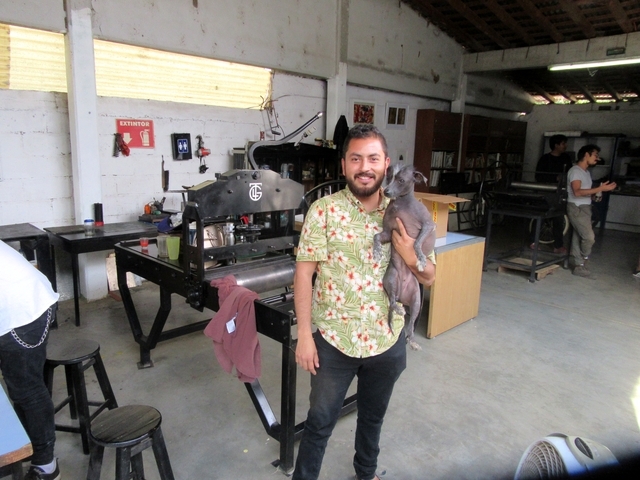 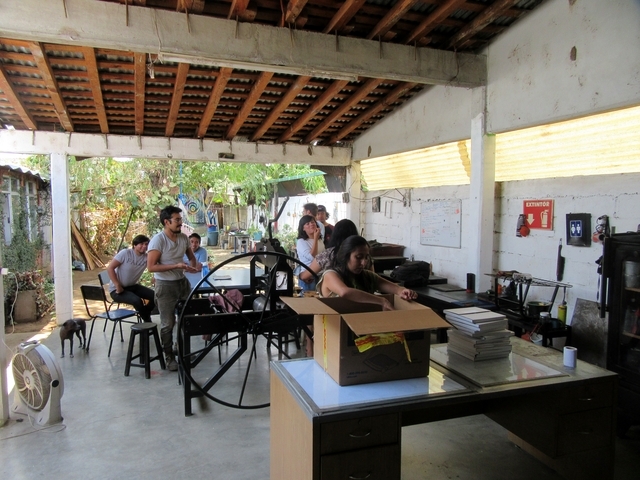 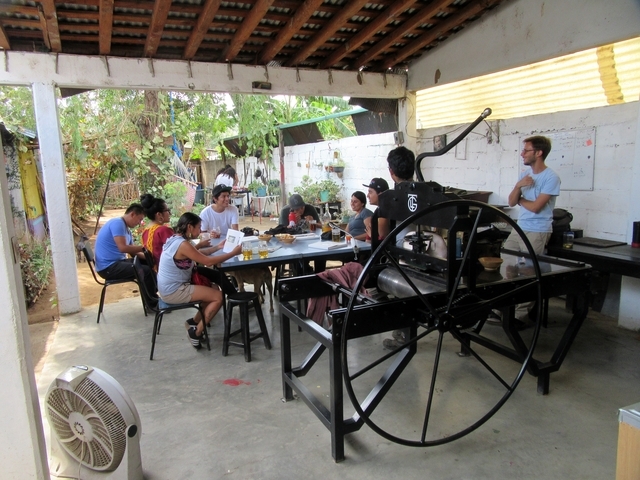 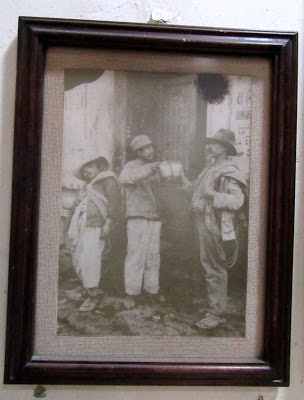 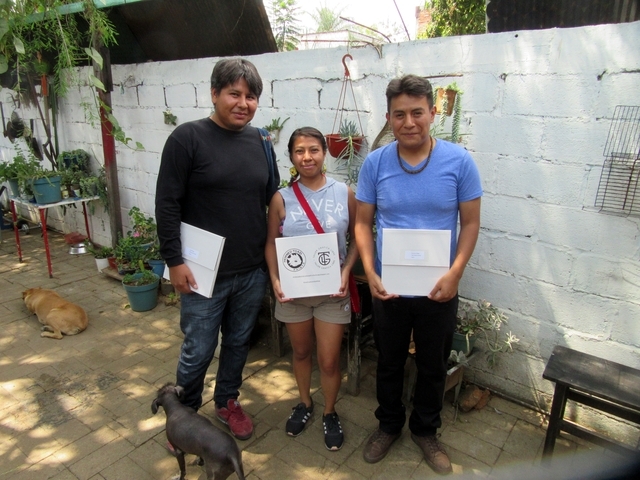 Las personas interesadas deberán enviar una fotografía digital de alta resolución, de frente, de cada pieza a concursar, limitado a tres trabajos por artista, al correo electrónico mexthaiprintmaking@gmail.com antes del 30 de junio de 2019. 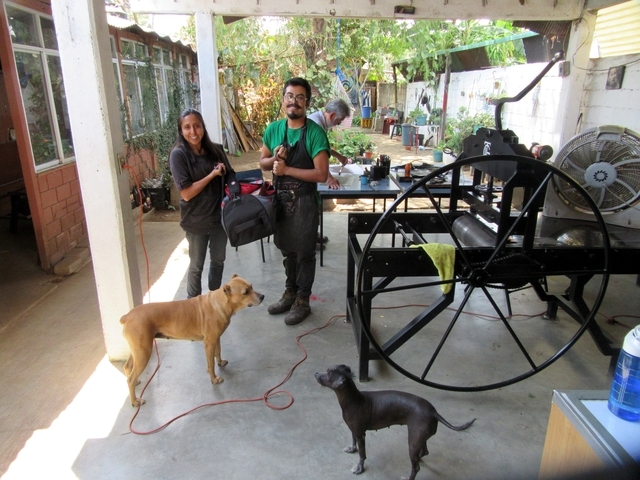 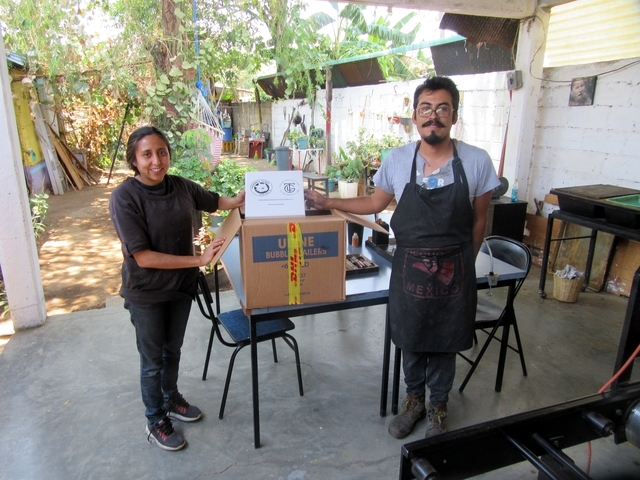 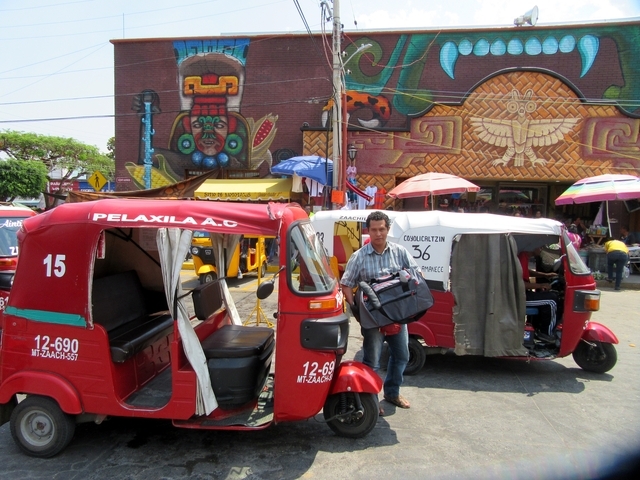 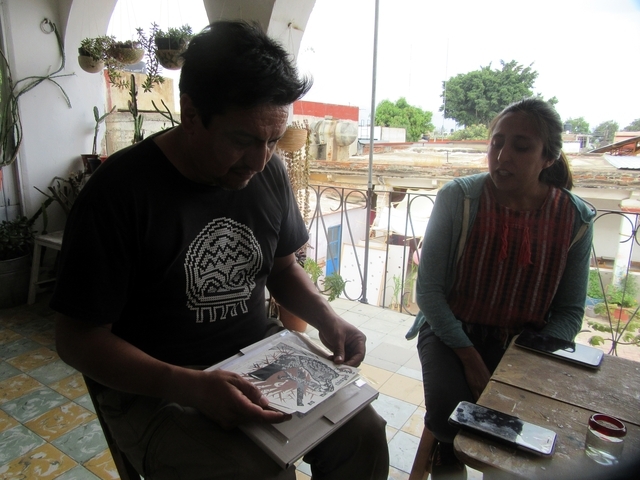 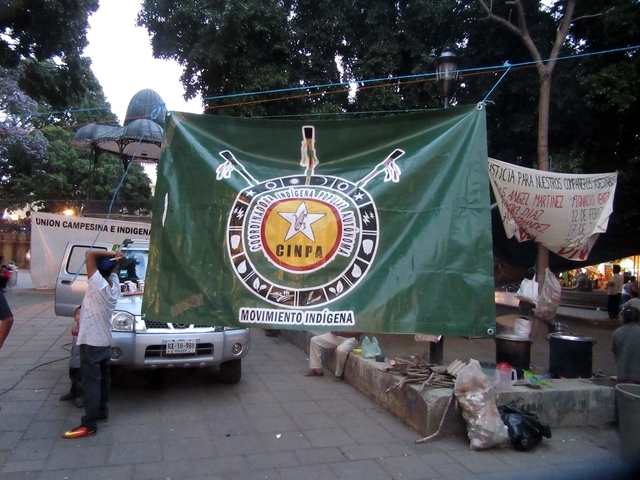 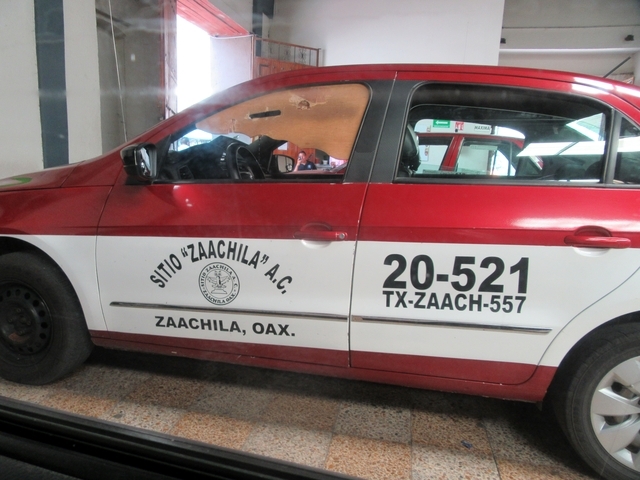 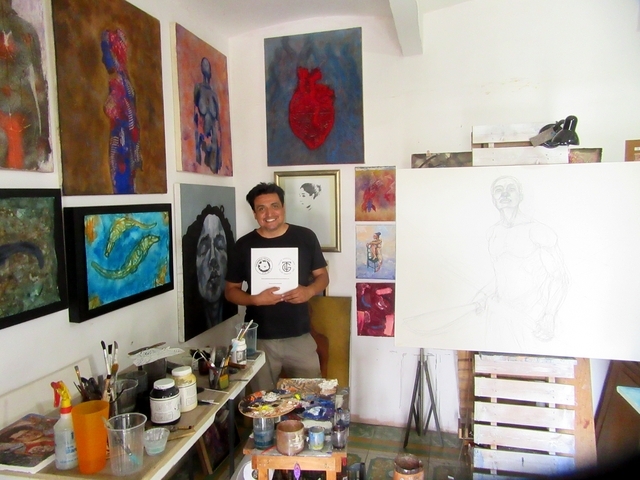 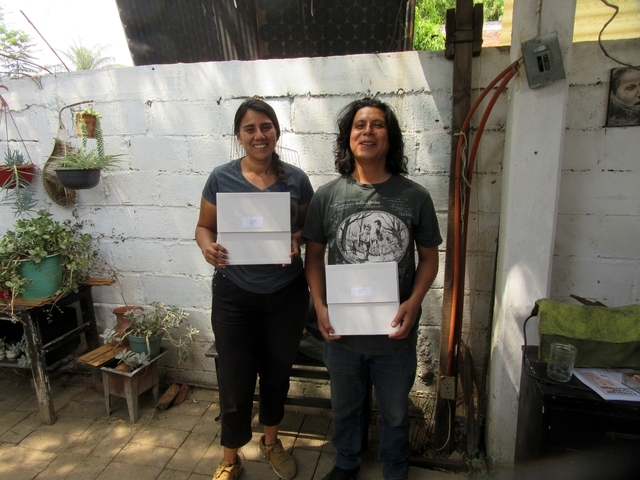 I (Karl Whitaker) flew down personally to deliver the prints to Oaxaca on April 3rd, 2019. 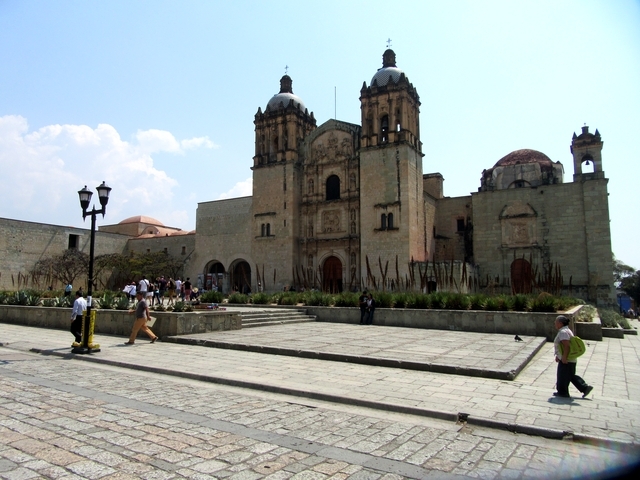 I flew from Ciudad Juarez, and arrived in Oaxaca at night, and was greeted by the beautiful Santo Domingo church in the center of Oaxaca City in the morning.